Some people have a strange keenness to things made of glass. Well, they have good reasons. Anything made of glass is classy, refined, and never gets out of fashion. The most well-known drawback, perhaps, about glass wares or glass furniture is that it can be delicately fragile. Glass aficionados will be glad to know that a glass desk are now available in both stone and brick stores and online shops. Even non-glass lovers will have to them check out and consider having a glass computer desk made solely or in part of glass. Glass top computer desks come with many advantages, comparable and even more so, to those made of wood or metal. As opposed to the usual impression that glass tables are not durable, glass computer tables are actually strong enough to carry the whole PC set (printer, monitor, keyboard, etc.) plus the stuff you usually put on top of your working table like folder files, stack of paper, not to mention your favorite framed photo. Most glass desks are made of tempered glass. Tempered glass is made by subjecting the glass material in high heat and then rapidly cooling it. This makes the glass resistant to breakage and heat. Also it is able to withstand pressure or carry weights much like wood or metal. If it breaks, the broken pieces aren’t sharp so there’s no need to worry about getting a cut on your hand when you clean up the mess. To get a better idea of tempered glasses, see your glass shower enclosure, glass sliding window or the patio door. That’s how sturdy a glass computer desk can be. Aside from its comparable strength, you can also choose designs that feature adjustability. 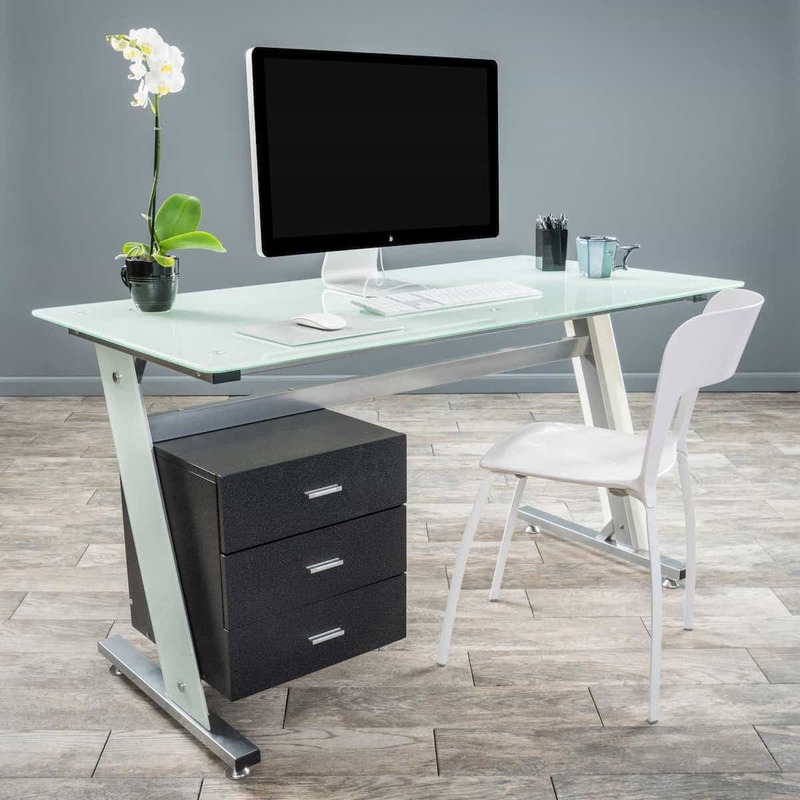 The ergonomics element works great especially if more than one person is using the computer since each user can adjust the table height and angle according to his most comfortable position. You can also choose different styles from clear, black or frosted glass computer tables. 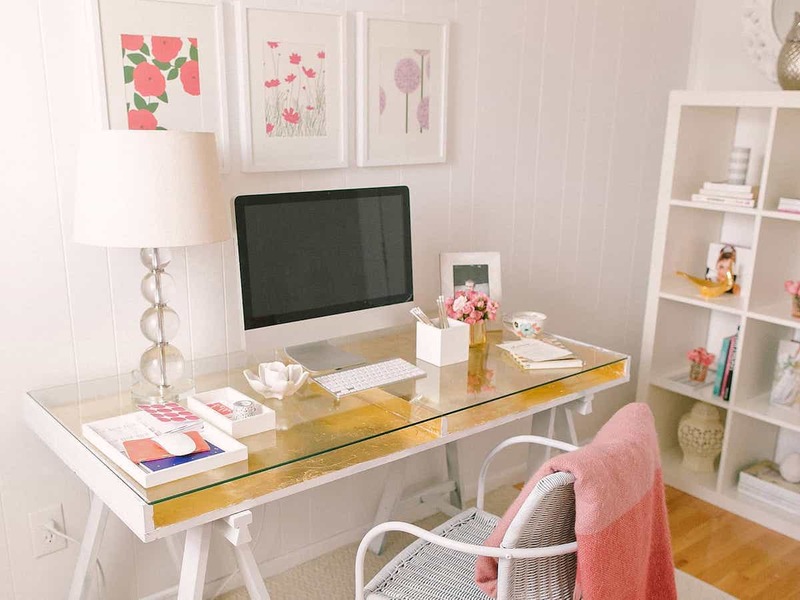 Whatever design you will go for, it will surely give your working corner a look that is sleek and sophisticated. Related Post "Advantages of a Glass Computer Desk"